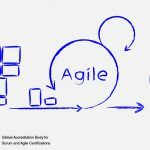 It is often seen that Agile has been implemented successfully in different projects. 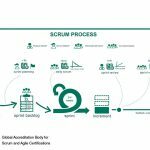 But when it comes to Product Management or NPD (New Product Development), many people get sceptical regarding implementation of Agile. 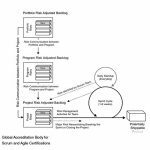 Now it has to be understood that Agile is not a methodology which can be used in a cookie cutter way across any organization. A lot of tweaking and customization is required to make it work. So, in product management, a proper assessment is required to see if Agile implementation will improve performance or not. Requirement Volatility : It is important to identify the volatility of requirements and whether working in Sprint will actually improve customer satisfaction, reduce uncertainty and help PM teams become more productive or not. If requirements are fixed in sand and are not dynamic in nature, it will not make any marked improvement even if the teams work in sprint. Also, Agile Product Life Cycle Management involves a lot of new learning, so it needs to be checked if the team will be comfortable in this transition or not. Frequent customer Interaction: External customers are big stakeholders in any Agile effort. In many product management scenarios, we have seen that customers just give their specifications and just go away for months and months. And finally when they come back for the product, it is completely different from what they expected, because market dynamics change and the expectations change as well. So the biggest benefit is actually to the customers themselves, and this is what the PM team should explain in details to the customers so as to get their buy in. 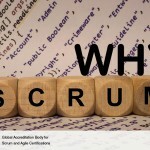 Without their pro-active support, it will not be possible to implement Agile in any way. If we are talking about New Product Development, then Agile actually becomes even more crucial and important. That is because neither the customers nor the PM team has any benchmark to follow. So, frequent discussions and brain storming sessions followed by change in requirements or prototypes will be mandatory for successful NPD. 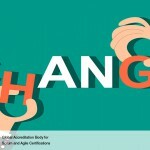 So, it is important to realize that Agile can be implemented successfully in Product Management as well, provided it is understood properly and used in the proper context. Also, management buy in and customer buy in are important components in this scenario, and a good AGILE coach will also be very beneficial.